rero sparks creativity and innovation. In this one robotics kit, you get all that you need to build your first robot. With its modular design, you can easily assemble the parts in as many configurations as you could possibly think of. Robotics Technology is the Future Now. Equip your child today with this innovative learning tool to cultivate their interest in STEM. Programming simple robot motion is insanely easy with rero TeachMode, which has been built into rero Controller. Spice up the motion’s complexity with rero Animator - a time-based motion editing tool (use it to animate your robot!). rero Planner blends key coding concepts into a flow-based graphical programming interface, allowing any budding roboticists to program an interactive robot with sensory inputs processing in no time. rero now comes with a beam joint to allow rero-LEGO® users to expand their creativity. 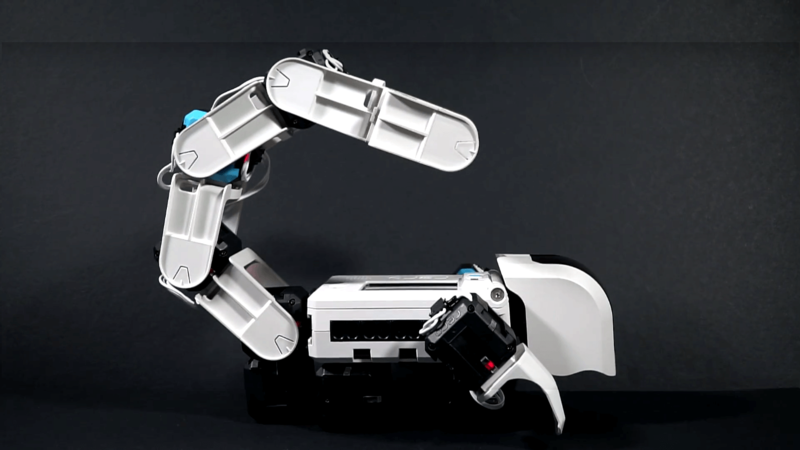 You can also customise your robot with 3D-printed parts. Everything that you need to build your own robot today. Measure distance ranging from 2cm to 200cm. Touched or not touched detection. Line position detection with 4 modulated IR pairs to eliminate ambient noise, 4 line position indicator LEDs, dark or light line selection & auto line-background surfaces calibration. 7 colours and no colour detection, colour indicator RGB LED & ambient light intensity measurement.